For the past few years, many benefits brokers have been crying “the sky is falling!” They have been completely convinced their industry is on its way to dying out. For those who choose to remain in the past, using outdated marketing, selling and management methods, extinction is all but certain – there’s no place for them in the new future of benefits. But I believe that those brokers that adopt the plan clearly laid out in DO or DIE and reinvent their agency will quickly dominate their markets and find more success than they ever imagined. With turbulence in the marketplace and many producers giving up because they aren’t willing to change the opportunity for those who are prepared has never been greater! 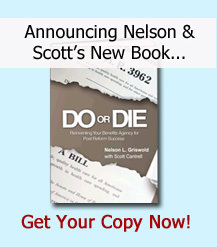 Nelson and Scott have diagnosed the problem and provided agencies with a prescription that should guarantee a healthy and prosperous future. This is not merely an academic exercise for the authors. I have personally watched them apply their years of real-world, in-the-trenches knowledge to help producers transform their futures from one of barely making it to true success. If you are at a crossroads and ready to make a great leap forward you need to read and apply the information in DO or DIE. As an avid reader I spend much of my time inside the pages of a variety of books – business and pleasure. Reading Nelson's book, DO or DIE, inspired me to reach out and look deeper into his “Mastermind Network.” Rarely in our lives do we have an opportunity to see real change in ourselves or an industry. I've witnessed and continue to see both in the health care and health risk management business. Nelson has the unique ability to see the broad and complex issues that many will face and yet be unwilling to act upon. His teaching, authorship, and leadership will help set his students and peers apart from the competition allowing for huge growth possibilities as the industry changes. I would recommend anyone who is willing to embrace change and invest in personal and corporate improvement to reach out for services and advice from Nelson. If you’re wondering what your agency should do to prepare for the post reform world and how you can take advantage of the opportunities created by PPACA, the answer is easy: Read this book! Nelson’s four-step approach to creating a 21st Century Agency provides a comprehensive methodology that will give any employee benefits agency a manageable and progressive process to transform itself and become a more valuable, more dominant, and more profitable business. DO or DIE is an essential survival guide for the benefits agency. I’ve known Nelson Griswold for many years; he’s the type of visionary our industry needs and this book is the antidote to the uncertainty and doubt plaguing so many agencies in this time of transition. Any benefits agency principal that has not read this book will certainly lose ground to competitors who have discovered – and implemented – what’s inside. A powerful new approach to products & services, marketing, selling, and management make this book the definitive guide to transforming a benefits agency into an organization that can and will be successful regardless of the fallout of Obamacare. If you’re an agency principal, read it. If you still want to be an agency principal in 1-2 years, read it NOW! Reinventing my agency seems like a mission impossible, and I dread having to do this task which has been thrust upon me as a result of healthcare reform. Seems overwhelming: What do I need to do…how do I do it …where do I start? But after reading DO or DIE I can honestly say, I’m no longer intimidated at all. Yes, it will still be lots of work but now, I’m confident that through Nelson and Scott’s help and direction I can implement this plan in my agency and be ready for 2014. Survival in the PPACA digital age requires new skill sets for employee benefit agencies. You have to stop making presentations about commodities, and start making prescriptions that can deliver needed solutions for compelling and complex business problems. Communicating with clients and prospects requires shining a bright light on what is missing, and the cost associated with its absence. Very few prospects current solutions are designed to be in alignment with their desired outcomes, and there lies the opportunity. Nelson Griswold and his team understand the challenges and the risks coming over the horizon for benefit agencies. 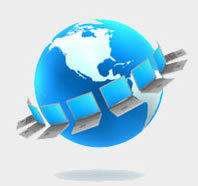 They share our understanding of the opportunity and they have designed solutions to help sell complexity.